Elementos is about setting traps and thinking ahead. It's a head to head challenge taking place in a natural setting. 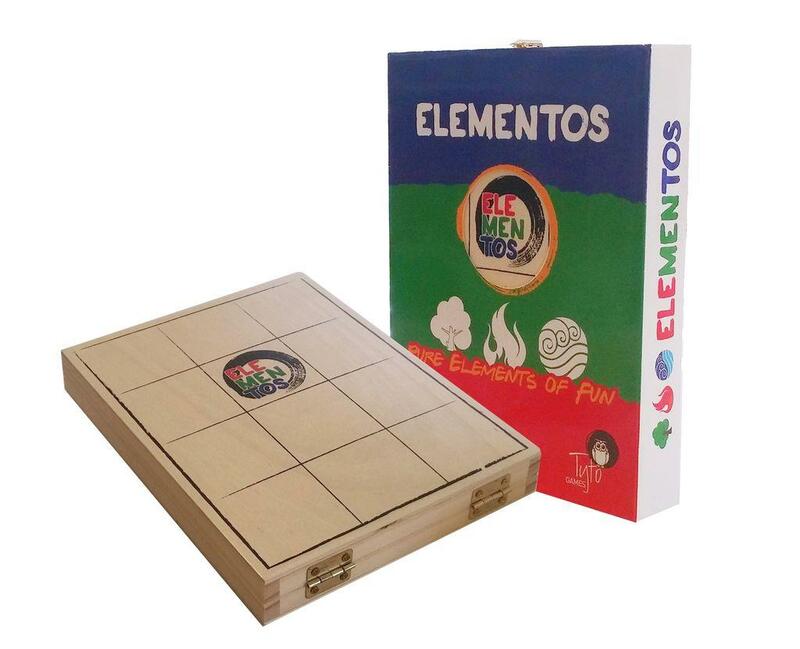 The idea behind Elementos is simple. We play in a world of 3 fundamental elements: Fire, water and a tree.. The 3 different elements complete a life cycle; fire takes tree, tree takes water, and water takes fire; the elements create a comfy state of equilibrium. Thing is, each game piece is actually a two faced deceiving character since game pieces can be flipped to reveal a different element on their other side known only to their master. These elements are potential carriers of your wand, which is the real star of the game. Be the first player to advance the wand to the other side of the board – and you become an Elemaster, a winner of the game.